The condition at present is so bad that a farmer is committing suicide every 41 minutes, the Rajasthan Congress chief claimed. “Those who raise their voice are silenced with a gunshot,” he said, apparently referring to the killing of five persons in Madhya Pradesh’s Mandsaur district during a farmers’ agitation. 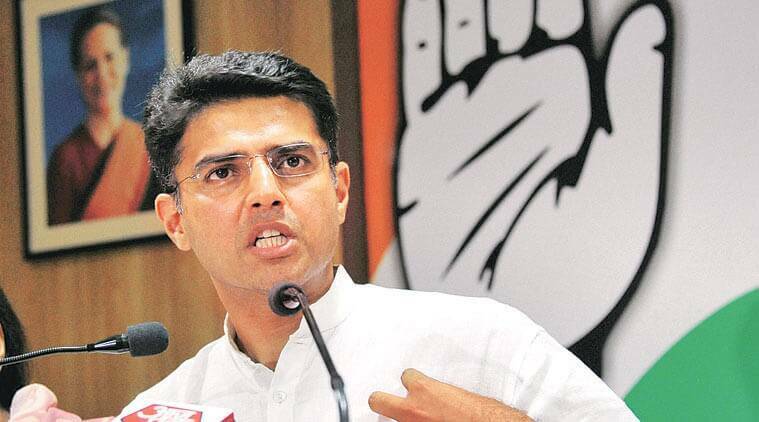 Senior Congress leader Sachin Pilot has said it is unfortunate that farmers are committing suicide in an agriculture-dominated country. At a farmers’ rally in Etawa town in Kota district, he blamed the agricultural policies of the BJP governments at the Centre and in Rajasthan for the “worst” state of cultivators. The BJP government has given the slogan of “sabka saath, sabka vikas” but has done nothing for farmers and agricultural growth. Cultivators are ending their lives due to the bad state of the agriculture sector, Pilot said. He alleged that the BJP government considers farmers just a vote bank.